Picture from magicstep : A ruined village with a seawall protecting from flooding during storms. Picture: A ruined village with a seawall protecting from flooding during storms. Visited in October 2015. On the pier there's a notice that from May to July birds are nesting so be careful and avoid bringing dogs during that time. On a low tide the rocky shore nearly doubles the surface of island, there's also a decent beach by the pier. On my visit I saw one renovated house, one under construction and one wooden shack/cottage. 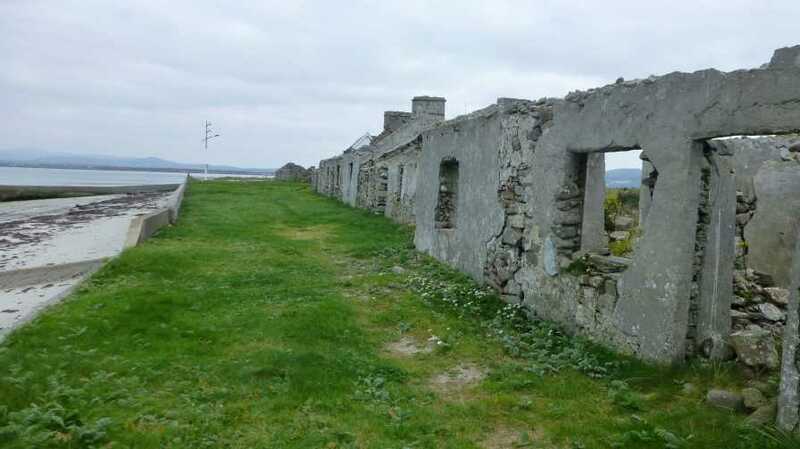 Ruins of old school (1910) can be found on the far end towards Arranmore. Walking isn't that pleasant around the island because of the rocks.